Golden Deeds Award is hailed as the “North East Highest Honour in Nigeria” by past GDA Chairmen, top government functionaries and over six national dailies in the year 2008; The Golden Deeds Award is the leading award organization in the north eastern region of Nigeria with diversity in concept and organization. The GOLDEN DEEDS INITIATIVE the organizers of Golden Deeds Award was founded in the year 2008, with the vision of becoming the largest award giving organization in Nigeria by the year 2020. since 2008, One hundred and seventeen (117) individual/organization have received this honour and are inducted into the Golden Deeds Hall of fame (GDHF). Amongst the recipients of Golden Deeds Award are past and serving Governors, Ministers, Military Generals, NGOs, Government Organizations, Film/Music /OAP, Media Houses, Educationist, Banks, Hospital , Entrepreneurs, Civil Servants, Various Field Experts and professionals and keep counting. 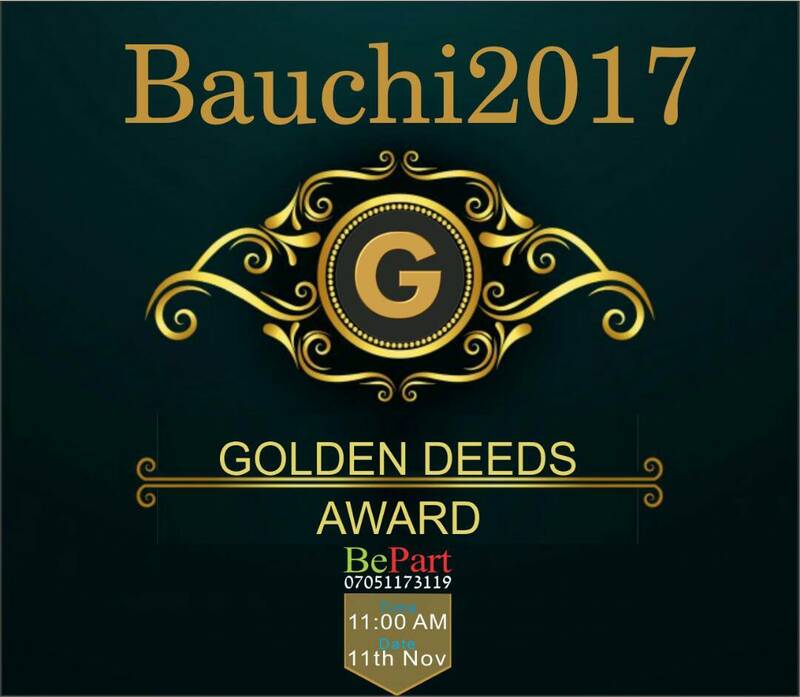 Golden Deeds Initiative in Major Partnership with Jojerah Multimedia Ltd and Cifraz Productions, the Organizers of Bauchi Golden Deeds Award 2017. Thirty Six (36) Individuals/Corporate organizations will be awarded in recognition of their outstanding contributions in various fields of human endeavors. 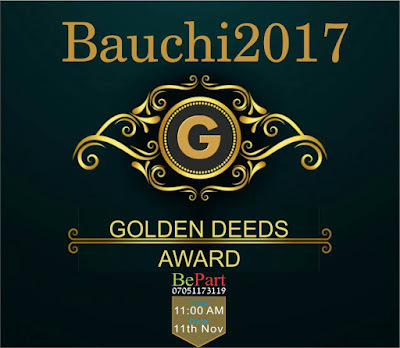 The award ceremony is schedule for 11th November 2017 at the New York Event Center, Maiduguri road Bauchi, Bauchi State, by 11:00am under the Distinguished Chairmanship of General Yakubu Usman (rtd). Amongst the Guest and recipients are members of National and State Assembly, High Military Officers Heads of Schools/Institution, NGOs, Companies Executives, Ministers and Religious Leaders, Celebrities within and outside the state and just keep counting.